This topic contains 2 replies, has 3 voices, and was last updated by Anonymous 5 years, 10 months ago. 2013 saw the best tourist figures for May ever recorded with 5.8 million tourists visiting Spain during the month, a figure that is up 7.4% year on year. The Institute of Tourism Studies (Instituto de Estudios Turisticos), part of the Ministry of Industry, Energy and Tourism (MInisterio de Industria, Energia y Turismo) undertook the study which is named the Internal Report on Tourist Movement. The largest drops were in Italian tourists (-16.4%) and those from the United States (-12.9%).. So far in 2013 a total of 19.8 million tourists have traveled to Spain which is up 3.8% on the same period last year as well as being the highest number since 2008. The areas that have most benefited from these increased visitor numbers have been the Balearic Islands, Catalonia and the Valencian region. 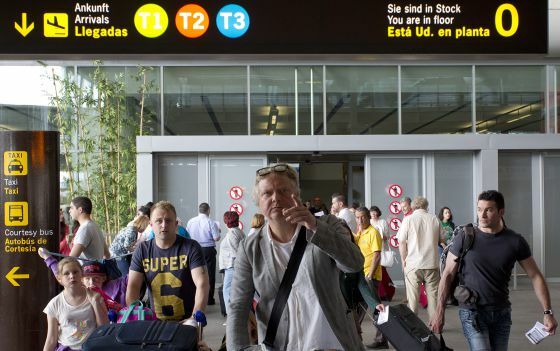 Tourists arrive at Malaga International airport. Yes cash is king but there will be lots of boats for several years to come so I doubt anyone is going to miss one. If anything prices will be even lower next year though not necessarily for all segments and locations. Are you are getting ready to buy?